Discover the history, construction materials, culture and more of the Futuro House here. Here’s a map of the last remaining flying saucer homes. 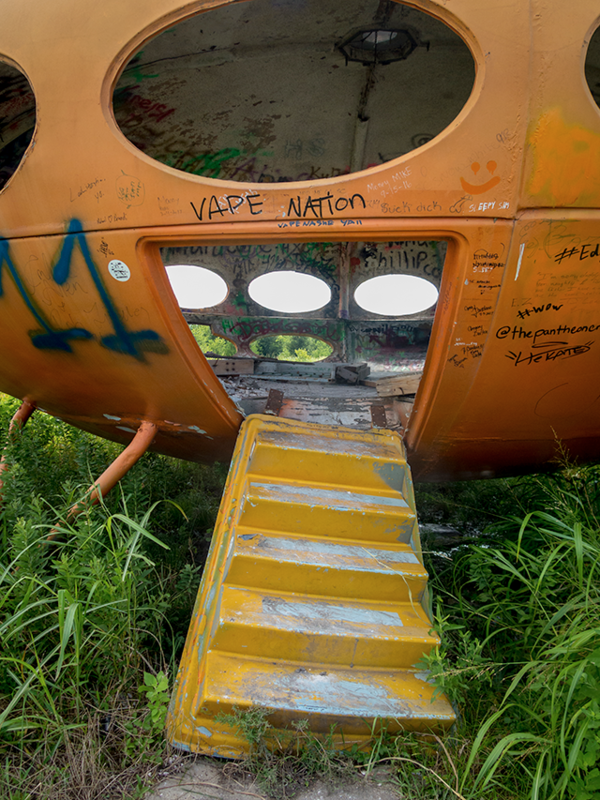 Information and photos here are compiled by a personal owner of a Futuro House. Here’s a Facebook community for those who can’t get enough of Futuro Houses. This article covers a case in which a Futuro House appeared on eBay for sale. Check out the futuristic abode’s coverage in a recent article in Arch Daily. Find out how the first Futuro was designed to be a ski lodge.